ISLAMABAD: Prime Minister Shahid Khaqan Abbasi Friday inaugurated “The Diabetes Centre” at Phulgaran in the outskirts of the federal capital to help early diagnosis and treatment of the disease. The prime minister announced a grant of Rs 100 million for the centre and urged philanthropists to generously contribute to help expand its reach. He said the disease was a major challenge and urgent measures were needed to address it by setting up similar centres across the country. He said it would serve as a model for not only the country, but also the region. 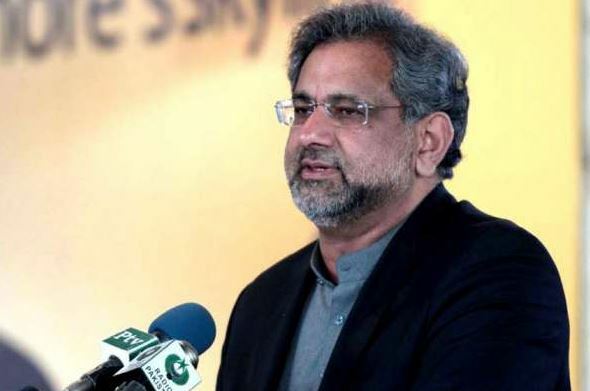 Prime Minister Abbasi said The Diabetes Centre, Inc. (TDC), has taken on the challenge of dealing with the diabetes and was playing a significant role in creating awareness, education, and health care delivery. He hoped the new centre at Phulgaran would cater to the needs of the people of areas adjoining the Federal Capital and Azad Kashmir. He said the TDC was serving as a centre of excellence and offering comprehensive care to diabetics in Pakistan. He appreciated the provision of quality diagnostics and treatment to the patients besides its training initiative. Earlier, the prime minister was informed that the TDC was focused on diabetes care, treatment and awareness and offered 12 specialized facilities under one roof. The clinic has to-date treated over 17,000 patients free of cost besides caring for around 500 patients per week who mainly come from various districts of northern Punjab and Khyber Pakhtunkhwa. Diabetes prevalence in Pakistan is high, 12% of people above 25 years of age suffer from the condition and 10% have impaired glucose tolerance. TDC is an internationally-recognized, not-for-profit organization and is registered tax-exempted charity in the UK, US and Pakistan.